Agilysys delivers innovative guest-centric technology solutions for gaming, hotels, resorts and cruise, corporate foodservice management, restaurants, universities, stadia, and healthcare. Agilysys offers point-of-sale (POS), property management (PMS), inventory and procurement, payments, and related applications, to manage the entire guest journey. Agilysys is known for its leadership in hospitality, its broad product offerings, and its customer-centric service. Agilysys operates across North America, Europe, Asia-Pacific, and India with headquarters located in Alpharetta, GA.
ALICE offers a platform of solutions for the hotelier that creates a unified hospitality experience, fostering meaningful relationships with guests and connecting departments across the hotel. ALICE aligns staff for greater Guest Satisfaction and Operational Excellence. With one connected hospitality operations suite, hotel staff interact with the guest and each other with ease. Managers can see deep into the core of the hotel operations, diagnose, and resolve the root cause of snafus, areas of friction, organizational ailments, and system disorders. ASSA ABLOY Global Solutions leads the security technology industry by reimagining how people move through their world. Whether that world is a hotel, cruise ship, student accommodation or elderly care facility, the company’s proven expertise in customer journey mapping, innovation and service design continue to lead to the development of new solutions that create added value for its clients and exceptional experiences for their end users. ASSA ABLOY Global Solutions is part of ASSA ABLOY. dormakaba makes access in life smart and secure. As one of the top three companies in the industry, dormakaba is the trusted partner for products, solutions and services for access to buildings and rooms from a single source. With strong brands such as Dorma, Kaba and Best in its portfolio, the company and its numerous cooperation partners are represented in over 130 countries worldwide. Hotels.com is a leading provider of hotel accommodation worldwide, offering booking services through its own network of localized websites and telephone call centers. Hotels.com gives travelers one of the widest selections of accommodation on the net, including both independent and major chain hotels as well as self-catering in over hundreds of thousands of properties worldwide. The company offers a one-stop shopping source for hotel pricing, amenities, and availability and also specializes in providing travelers with accommodation during sold-out periods. Hotels.com is part of the EXPEDIA GROUP of travel companies. Oracle Hospitality brings 35 years of experience in providing technology solutions to food and beverage operators and hoteliers. We provide hardware, software, and services that allow our customers to deliver exceptional guest experiences while maximizing profitability. Our solutions include integrated point-of-sale, loyalty, reporting and analytics, inventory and labor management, all delivered from the cloud to lower IT costs and maximize business agility. Porter and Sail, Inc. provides a mobile application that serves as a digital concierge system for lifestyle hotels worldwide. Its application enables users to find independent recommendations on what to do, eat, and drink; make restaurant reservations before and during their trip; map out their travel plans; discover destinations through the lens of insiders; connect with hotels; and filter and favorite where they want to go. The company was founded in 2015 and is based in New York, US. protel is the hotel PMS and platform pioneer with over 14,000 hotel customers in 90+ countries. 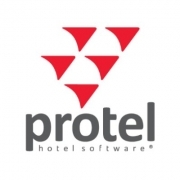 protel ’s enterprise hospitality platform – consisting of an enterprise service bus called protel.I/O and a multi-hotel solution called protel CENTRAL. It allows hotels with multiple integrations to aggregate all specialist technology behavior to a central level, thus creating a secure, vendor-neutral, open infrastructure to store, access, integrate and use their data from any guest touchpoint in real time. protel’s global headquarters is in Dortmund, Germany and U.S. headquarters are in Atlanta, Georgia. SALTO Systems provides innovative access control solutions that give customers the reliability and security they need. Based in Oiartzun (SPAIN), SALTO’s customers include airports, hospitals, government buildings, military bases, colleges, hotels and more. SALTO is the selected access control option on over 3,000,000 doors worldwide. SIHOT is a hotel management software solution made by GUBSE AG in Germany. When the system first appeared in 1986 on a UNIX platform, the IT, business and hotel specialists at GUBSE had been aiming at an integrated, innovative, user-friendly software solution that could be used to process all operations related to the hospitality industry ranging from youth hostels to 5-star hotels. Based on this intention, the SIHOT software solution quickly established itself as a powerful information and management system ideal for hotel use. SIHOT was one of the first Windows-based products on the market, and has been systematically expanded to create an entire hotel systems product suite. AK Techotel and Via System specializes in customized software solutions for the hospitality sector as well as individual access control and ticketing solutions for swimming pools, sports centers, sports halls, gyms and more. Via System is part of the Techotel Group, Scandinavia’s largest provider of software for hotels. AK Techotel is the company behind the PMS Picasso – Scandinavia’s digital booking system for hotels, conference centers and restaurants. As an agent Via System represents a number of international suppliers of digital solutions for the hotel, course and event industry such as Zaplox, Yield Planet, Loopon, Upsell, Wihp and Techotel. VisBook AS is a software company with over 700 customers in Norway, Sweden, and Germany. VisBook develops, manages, distributes and provides training/support for VisBook, our online booking and administration system. Our solutions do not require companies to have their own servers, and they have no limits in terms of the number of work stations or users. VisBook assists with every business process in our customer’s operations. Our solutions will support you, as the host, throughout the entire process of your guests’ stay – from booking to checkout – allowing you to focus on providing them with the service and hospitality they expect. When your guests have checked out, VisBook delivers all the solutions needed for billing, payment, and accounting.